Morgan Tower, a 210-metre high-rise building, broke ground on Saturday in Phnom Penh’s Diamond Island, with project representatives hailing the development as the Kingdom’s tallest building. China’s top diplomat, Wang Yi, met his Cambodian counterpart Prak Sokhonn during the Asean Regional Forum earlier this month, to send a clear message: Cambodia is under China’s protection. Along with most Southeast Asian countries, Cambodia’s electricity consumption over the past decade has skyrocketed. In a report by the World Wildlife Fund (WWF), electricity consumption in Cambodia has been growing rapidly, averaging 20 percent growth per annum since 2010. JC International Airlines’ Airbus A320 from Sihanoukville, Cambodia has landed smoothly at Chongqing Jiangbei International Airport on 18 August 2018. JC, thus, has officially launched the new Cambodia-China route on Saturday. The government on Friday highlighted the need for greater access to data to further the country’s development, urging the private sector to participate in public surveys. The Cambodia Fintech Association (CFA) was officially launched on Wednesday with the aim of facilitating collaboration among players in the Kingdom in its nascent financial technology sector. Cambodia’s ninth Guinness World Records – the World’s Longest Hand Woven Scarf, acclaimed on 1 July 2018, is open to exhibit for the general public at the National Museum of Cambodia. Singapore-based firm KrisEnergy, which operates Cambodia’s offshore Block A, is now reviewing bids submitted by contractors for integrated drilling services and a facilities platform. They were submitted during the second quarter. The curtain came up on the Asian Games, the Asian continent’s largest and most spectacular sporting event, with Cambodian athletes testing their skills on the opening day in Fencing, Swimming, Wrestling, and Taekwondo. 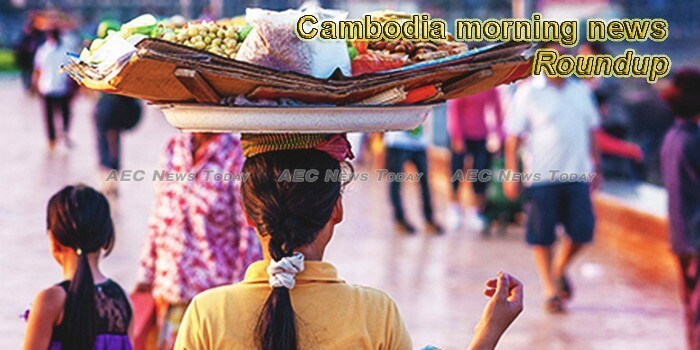 The Pacific Asia Travel Association Cambodia Chapter and the Cambodia Tourism Federation are jointly promoting travel fairs to boost inbound travel during the low-season months in 2019. SPAREasia (SPARE), led by a team of fresh graduates, on Friday at Sahaka Coworking Space, launched a website aimed at solving short-term space rental demands as part of the startup’s growth strategy. Cambodia’s 2018 Asian Games campaign in Jakarta-Palembang began on Thursday as 12 members of the 71-strong squad departed from Phnom Penh International Airport. Seven underprivileged Cambodian children were selected on Friday to receive congenital heart disease treatment at no cost at the Bumrungrad International Hospital in Thailand. A new destination in the Kingdom is catching the eye of tourists in Pursat. Travelling across the mountains and through the forests of the western province, many are heading toward Thmadar Touch waterfall, just off of National Road 55. President of the Olympic Council of Asia (OCA) Sheikh Ahmad Al-Fahad Al-Sabah and International Olympic Committee member Ser Mieng expressed their congratulations on Samdech Hun Sen, President of ruling Cambodian People’s Party, for being elected as Prime Minister of Cambodia in the 6th mandate by His Majesty King Norodom Sihamoni.